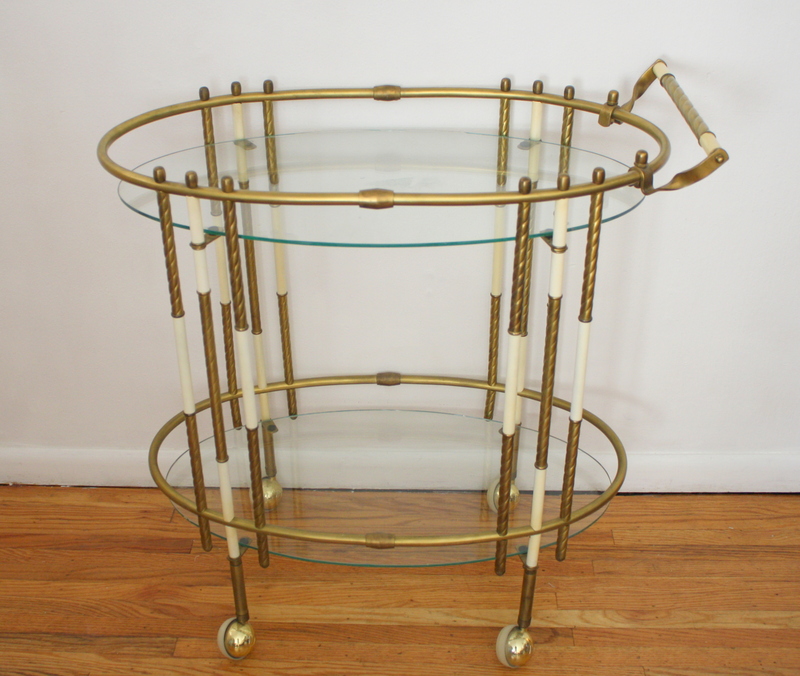 This is a mid century modern bar serving cart. It folds for easy storage, and has 2 portable serving trays with beautiful curved edges. Dimensions:24″W x 16″D x 26″H. Accessories sold separately. These are 2 mid century modern serving carts, The first is a mid century modern rolling serving cart with a turquoise formica top and bottom shelf. A perfect pop of color, can also be used as a side end table or planter stand. Dimensions: 25″W x 17″D x 24″H. The second is a Danish serving cart by B.R.D.R. Furbo, made in Denmark. It has 2 tiers, is made of teak, and is on wheels. Dimensions: 27″W x 18″D x 22″H. 1 of each available.